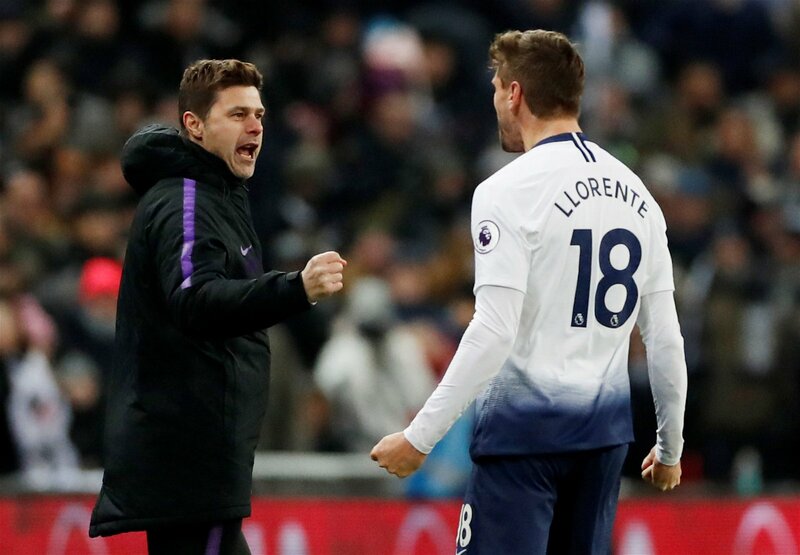 Fernando Llorente’s contract expires this summer and had fate been kinder to Harry Kane last week then the chances were probable that the 34-year-old Spaniard would have left Britain without giving a proper account of himself. This after all is a striker boasting 100+ goals in La Liga who went on to terrorise Italian defences in three Serie A-winning campaigns with Juventus. This is an elite centre-forward. A World Cup winner no less. At Tottenham though – following his switch from Swansea where Llorente scored nearly one in two games but was always viewed as a novelty marquee signing for a club that couldn’t quite believe their luck in having him – things began to change. He arrived in North London somewhat long in the tooth and plainly as cover to the phenomenal Kane. A quality back-up to an emerging mega-star. So it was that one of Europe’s deadliest hit-men, blessed with nuanced movement like few others possess, was no longer a leading man. He was an understudy. Which is how it stayed and this despite irregular appearances owing to the England forward’s repeated injury lay-offs. Despite also a steady contribution that saw him score on his full league debut and last year claim a FA Cup hat-trick. When he came in he routinely impressed but was then gone again, back to the anonymity of the bench; back to being a stand-in. And had fate been kinder to Tottenham’s key figure then that’s how the wider public in this country would have remembered Llorente. Unfairly as it goes. Only fate wasn’t so kind but rather downright cruel and the ankle ligament damage endured by Kane this week has ruled his competitor out of action for the foreseeable future. This leaves Mauricio Pochettino with Heung-min Son and Llorente as his chief attacking options and the Argentine has shown on past occasions that he prefers playing only the former centrally for certain games and both for others. The season is all to play for with a Champions League quarter final yet to be concluded and a fierce battle for top four hotting up. The door is ajar. It’s a golden opportunity for the understudy to make the headlines again. It would take a foolhardy gambler to bet against Llorente taking full advantage of his chance. He has the proven pedigree to be a hero. He has the nous to fire Spurs over at least one of the lines they are striving towards with a season – if not an era – to define. Back in January the 6ft 4 marksman fired home twice and made three assists during Kane’s last absence. Tottenham supporters will happily take the same again with only a handful of extremely consequential fixtures to contest. ‘Going to need you big time for the run in,’ was how one tweet put it this week. All eyes are fixing on the man who would be king.